Well, that was quick. A 12% decline in 2 weeks, and now it's back to "normal". The 200 day moving average held, and now stock prices sit at levels where the whole sell-off started. Usually, prices will retest the lows at least once before rallying, but performance has been anything but typically over the past year and a half. Market averages recovered significantly, with a majority of indexes trading at their 50-day moving averages. The Nasdaq managed to rise above its 20 day moving average, and the Russell 2000 sit just below both. Price and volume action indicates a new uptrend is underway. Prices appear to have bottomed on March 9th, and then confirmed a new direction on the 14th by rising on higher than average volume. OEW also switched back to an uptrend. Tony created a "weekly rate of change" indicator that gave a buy signal last week; the signal has been 96% accurate over the past 50 years worth of S&P data. Growth stocks are an area to watch over the next few weeks. 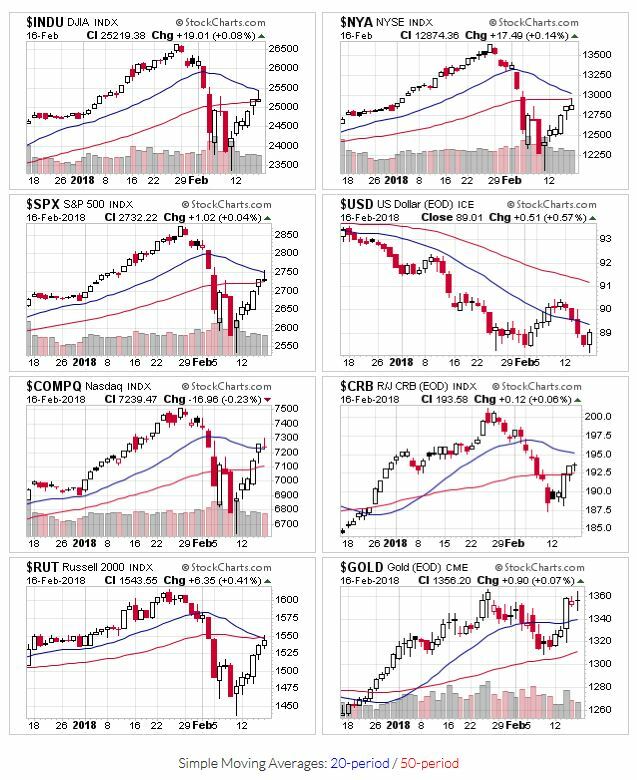 Very few leading stocks are offering good entry points; the best stocks (fundamentally) are still a few weeks away from proper set-ups (technically). In this case, market conditions are suitable for new investments, but individual stocks are still working their way back. Even with the sharp sell off, income stocks remain expensive. As an example, the P/E ratios for most "dividend kings" are still way above 20. As Warren Buffett would say, the hamburgers are still really expensive.